World Trade Center in 2000. Image published with permission of Space Imaging. 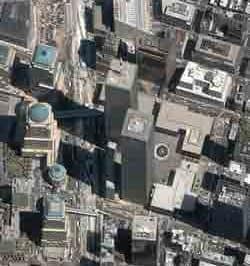 Satellites from a variety of sources were able to capture the devastation of 9/11 from space.